Captured this hungry fellow late-winter. Near Tofte, Minnesota. Gives a good sense what this species encounters during winter. Moose often lack sodium in their diets and are known to be fond of aquatic plants that are rich in the element. 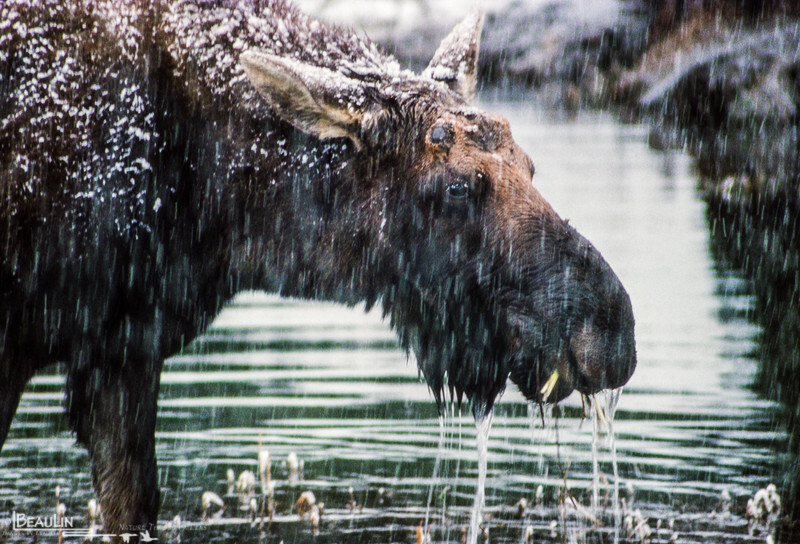 Unfortunately, moose in the lower temperate zone of the continent are under threat from climate change that stresses their ability to physiologically adapt to local conditions and make them quite susceptible to numberous pathogens and diseases. Some experts believe that we will see the disappearance of moose in much, if not most of the lower 48 states within the next half century.